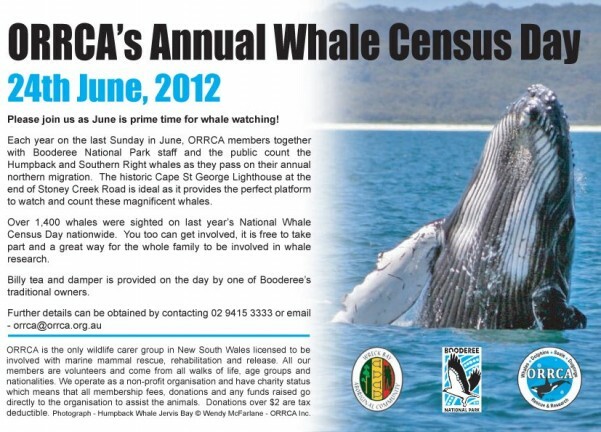 Dust off your binoculars, pick your favourite lookout and join in the fun of whale spotting on ORRCA’s Whale Census Day 2012. Also if your in the Sydney area and can make it down to Bondi you can check out the Bondi Whale Festival. Sunday 24th June 10am – 3.30pm.